Even though the materials, design and manufacturing processes have improved, the most common insulation system is a combination of liquid insulation, cellulose and impregnated in oil cellulose. 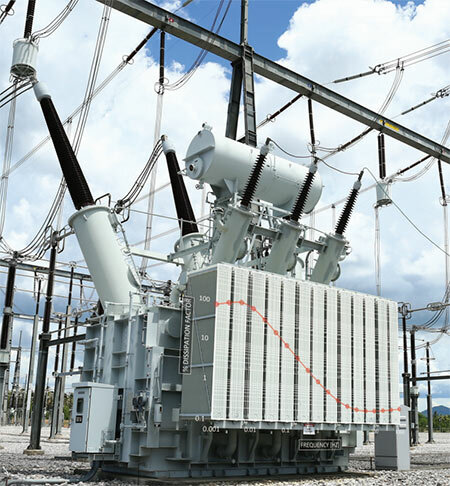 These components of the overall insulation system go through an inevitable aging process that leads to the end of the service life of power and distribution transformers. One can expand this statement into other components with similar insulation construction such as bushings and instrument transformer with oilimpregnated paper insulation. The Institute of Electrical and Electronic Engineers (IEEE) Standards Association approved the publication of IEEE C57.161- 2018 – “Guide for Dielectric Frequency Response Test”. The work was developed within the IEEE Transformers Committee and the Dielectrics Sub-committee. A needed document for a non-intrusive and non-destructive testing method to better understand the condition of the insulation system of power and distribution transformers.